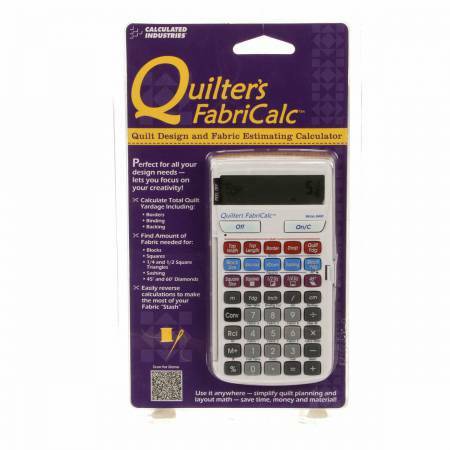 Quilt design and fabric calculator. Use it anywhere, focus on creativity, reverse calculations, simplify quilt layout math, save time, money and materials. Helps you find total yardage, including backing, binding, borders and drop.